Note: You do not need to press SAVE. All fields Auto-Save. 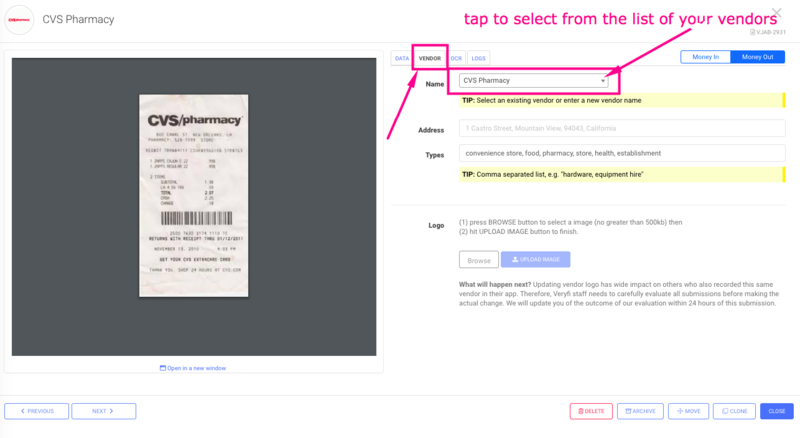 Add the ADDRESS and TYPES for your New Vendor. 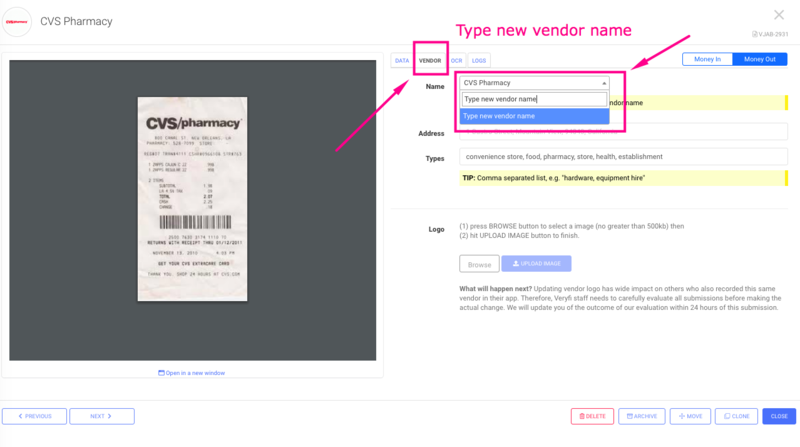 If necessary, you can change the vendor by tapping the NAME dropdown as shown below. FYI: Just typing a vendor name that's not in the list will create a NEW vendor. Once the new vendor is created it should be added to the list for your existing vendors and should be available both via web app (https://hub.veryfi.com/vendors/) and mobile app.